Zeefax were delighted to win the contract to design and manufacture an advanced digital SCR system to the National Drilling Company in Abu Dhabi for the Al Bzoom Jack-Up rig. After several years of inactivity, the Al Bzoom jack-up was programmed for refurbishment and upgrade, and Zeefax was selected to provide the 600V and 480V switchboards and transformers. The system to be supplied was not simply a replacement, but represented a substantial increase in generated power, and consequently, Zeefax faced a considerable challenge to engineer a footprint that would fit within the existing switch-room structure. Following extensive consultation with the client, a U-shaped format was adopted for the main 600V switchboard. The main 600V switchboard comprises four 2.5 MVA generator control sections with Woodward and Basler digital controllers; these provide the generator frequency regulation as well as managing the voltage and load sharing. The five SCR sections incorporate DCS800 ABB digital drives and are fully assignable for drilling operations. The SCR sections also incorporate AC line reactors, DC motor isolators, and DC interconnections, so for installation, no additional equipment or cabling is required other than connection to the DC motors. The whole system was engineered and built at our manufacturing facility in the UK, where we are able to design and construct complete SCR systems based on older style analogue controllers (Hill Graham/Ross Hill type) or on more contemporary fully digital configurations of our own design; the Al Bzoom system is fully digital. A distributed digital I/O network provides the communications link for all elements of the SCR system, including the Driller’s console, the Mud Pump console, the drilling and auxiliary MCCs, and the central graphical interface, which is used to monitor and control operations. 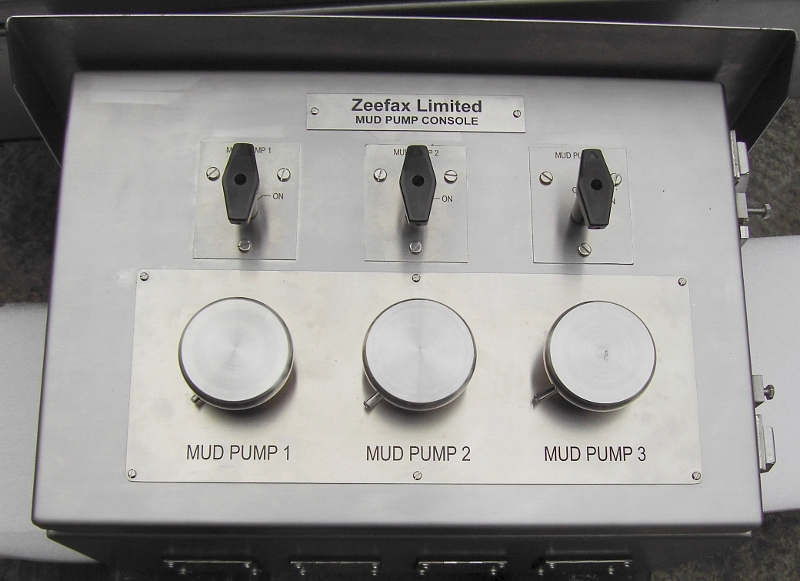 The Driller’s console connection is made using a dual fibre-optic cable, whilst the Mud pump console and MCCs are connected using screened twisted pair cables. The communication protocols are industry standard MODBUS and PROFIBUS, enabling full integration of this SCR system into other SCADA and distributed control networks. As well as engineering and manufacturing the main 600V SCR switchboard, Zeefax was also responsible for providing all of the major electrical distribution components for the rig. The necessary approval was obtained through ABS and all of the required drawings, calculations and co-ordination settings were provided by Zeefax. The scope of supply included the following main assemblies:. 600V Switchboard : Comprising, four 2.5 MVA generator sections; five assignable SCR sections with DC isolators; two 2.5 MVA transformer feeders; three jacking feeders and top drive feeder. 480V Switchboard : Comprising two incoming sections and interlocked bus tie, with various feeders for 480V MCCs and distribution boards. 480V MCCs : Comprising the main MCCs A and B; the ventilation MCC; the drilling MCC and the Auxiliary MCC. Power Transformers : Comprising two 2.5 MVA 600:480V enclosed transformers and 480:220V distribution transformers. Control Consoles : Comprising the Driller’s Console (hazardous area); the Foot Throttle (hazardous area); the Mud Pump Console and the PLC control section. Our portfolio of world class products and our years of experience helps us to provide optimised Condition Monitoring Solutions, carefully designed to meet the opportunities and challenges facing modern instrument and plant maintenance engineers, working in the Power and Process industries. Please contact us to find out how we can help to preserve your capital investment, through a program of works, carefully designed to optimise the utility and the performance of your Power Control and Condition Monitoring Systems.